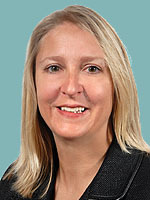 Dr. Smith earned her medical degree from Dalhousie University in Halifax, Nova Scotia, Canada. She completed a residency in Otolaryngology and Head and Neck Surgery, and was chief resident at Dalhousie University affiliated hospitals—Queen Elizabeth II Health Sciences Centre, IWK Children’s Hospital, Saint John Regional Hospital and Dartmouth General Hospital. She most recently practiced at Saint John Regional Hospital, Saint John, New Brunswick, Canada. Dr. Smith is board certified by the American Board of Otolaryngology. Dr. Smith provides specialty care for patients in all areas of ears, nose and throat as well as head and neck surgery. This includes hearing and balance problems, nasal and sinus disease, allergy, voice disorders, snoring and sleep apnea, and head and neck cancer.